Click on a program for a brief description. We are also happy to talk with you about a topic not listed. Would you like your community to Be a Part of the Conversation? Be a Part of the Conversation presents interactive events that increase awareness and reduce stigma surrounding substance use, misuse and addiction. If you are an educator, community leader, health care provider, or if you represent an organization that believes we can all benefit from having meaningful conversations about substance use, and its affects on individuals and their families, we invite you to join us! 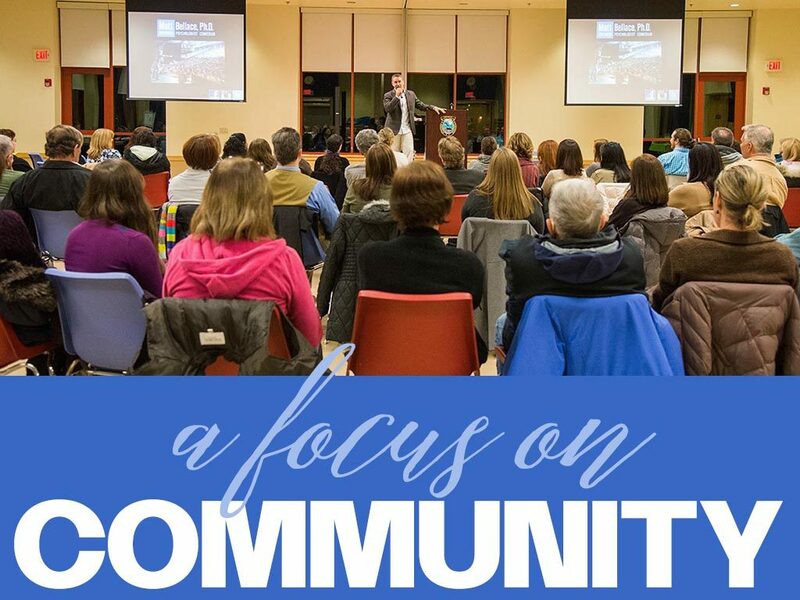 What are the greatest concerns in your community? Have there been an unusual number of alcohol-related issues? Are you seeing more heroin use? Has the current opioid crisis impacted your community? We will work with you to determine the topics that need to be addressed based on interviews with stakeholders in your community, such as educators, family members, local health care and treatment providers, and law enforcement officials. 1. Choose from our Program Menu above on an “as needed” basis. 2. Become a full Community Partner, and Be a Part of the Conversation will become an integral part of your community, providing ongoing support. For parents of elementary school students. 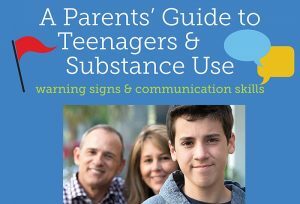 This is an ideal time for families to begin important conversations about substance use, with special sensitivity toward young children. 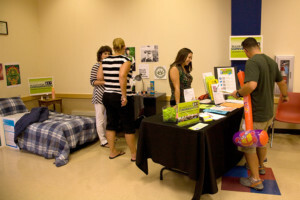 Our display is intended for parents and educators to learn some of the signs of substance use in a simulated setting of a teenage bedroom. 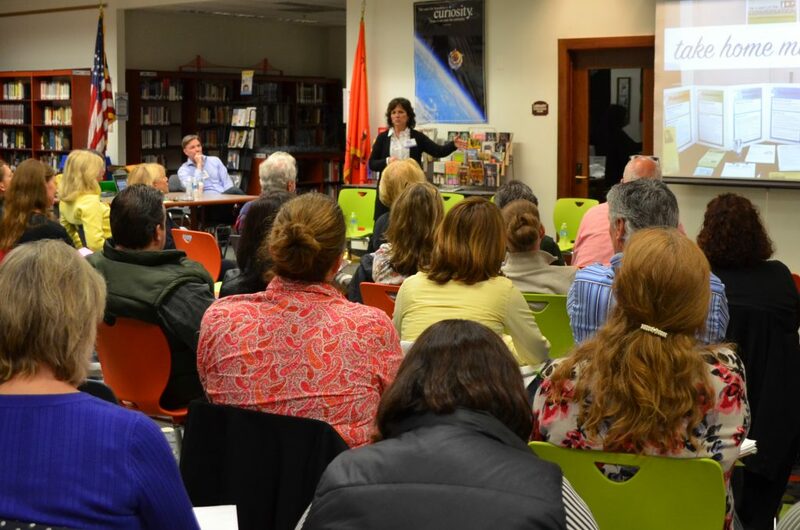 If you are a school principal who hosts routine gatherings for parents, one of our presenters would join you to address a topic related to substance use. This program will help parents and educators to navigate the over-exposure to media and technology, as well as encouraging a healthy balance. A counselor specializing in adolescents and young adults will discuss ways that our kids are being impacted by social media, the “misinformation highway,” the access to substances online, and more. For parents and educators from all school levels. Kids are wired to try new things. The current trend, both nationally and locally, is vaping. Along with an alarming trend toward risk-taking behaviors, this is something we need to have a conversation about, as parents and as a community that cares. For parents of middle & high school students. What are some of the most effective ways to keep our kids from using alcohol or other drugs? What are some signs that they might be drinking or experimenting with drugs? There are important biological reasons that our kids take risks. We’ll talk about how as parents, we can help to shape our kids’ choices and raise successful young adults. Is addiction a choice or a disease? 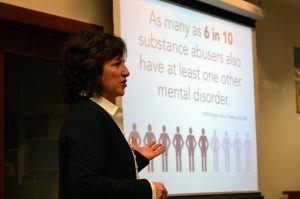 We’ll take a look at the science of addiction, including risk factors, protective factors, and what the signs might be that someone has crossed the line from substance use or misuse to addiction. 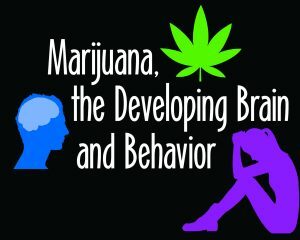 We’ll also talk about strategies for cravings and coping. 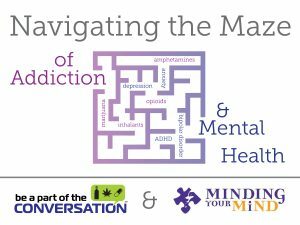 Be a Part of the Conversation & Minding Your Mind join together to address “dual diagnosis” – the correlation between substance use disorders and mental health challenges. People addicted to drugs are roughly twice as likely to suffer from mood and anxiety disorders, with the reverse also true. Together, we’ll explore paths to recovery from co-occurring disorders, which can be difficult to diagnose due to the complexity of symptoms, as both may vary in severity. In many cases, people receive treatment for one disorder while the other disorder remains untreated. There is not a community in the United States that hasn’t felt the devastating impact of today’s opioid crisis. In 2016 alone, we lost approximately 60,000 Americans to overdose deaths. That exceeds the number of deaths due to HIV/AIDS, gun violence, suicide, or automobile accidents in any given year. Overdoses from the strongest synthetic opioids, such as fentanyl, have tripled. Together, we will shine a light on this health care emergency that has kept too many families and their loved ones in the dark due to stigma or a lack of understanding about the disease of addiction. Details about this new program will be available soon! Embracing the Consequences: When unwanted outcomes become part of the solution. • While punishment is never preferred over treatment, can consequencessuch as legal charges be the intervention that ultimately ends the cycle of substance misuse? 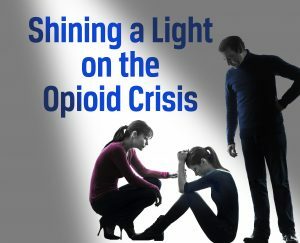 • If treatment efforts have not been successful, can families help by changing our response to a loved one’s continued use? • When our loved one’s consequences have devastated us, can we change our path to find our own peace of mind and recovery? There is no universal “right way” to find recovery after struggling with a substance use disorder or dual diagnosis. Sometimes we need to take a few different paths to find the right fit. We may need to engage in a combination of programs to ensure lifelong recovery. Our panel includes representatives from various pathways to recovery. Be a Part of the Conversation is available to have an interactive conversation with faculty and staff at public or private schools during professional development, or at a private business. We will target topics that are of interest to your district or community. Be a Part of the Conversation partners with hospitals and health care practitioners to address an addiction that is claiming tens of thousands of lives every year. 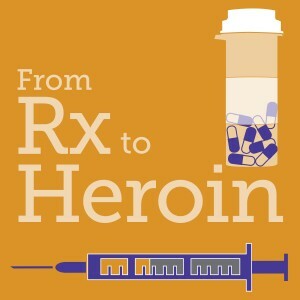 Join us as we have a conversation about our country’s prescription drug epidemic, its connection to heroin use, and how we, as health care providers and health care consumers, can help to stem the tide of addiction through safe prescribing practices.